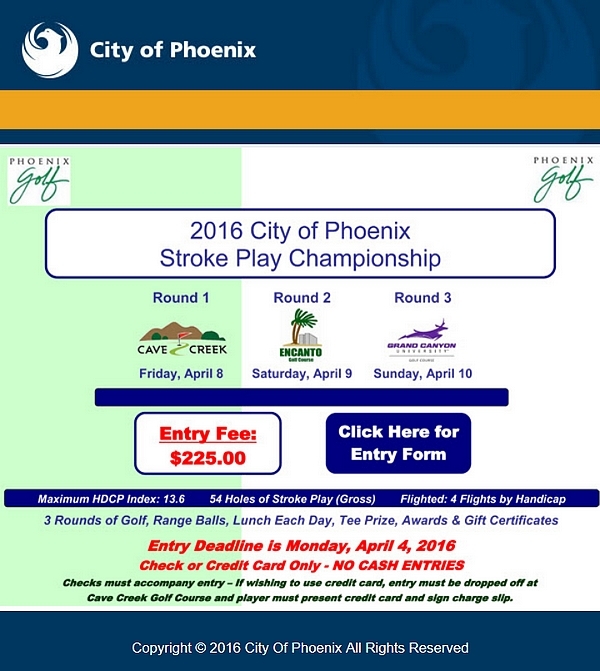 It’s time to get your game in shape for the 2016 City of Phoenix Stroke Play Championship. Play begins Friday, April 8 at Cave Creek, moves to Encanto Saturday, April 9 and finishes up at Grand Canyon Sunday, April 10. Players must carry a handicap index of 13.6 or below and four flights of competition are available. Players will compete in threesomes with assigned tee times each day, beginning at 6:30 each morning. 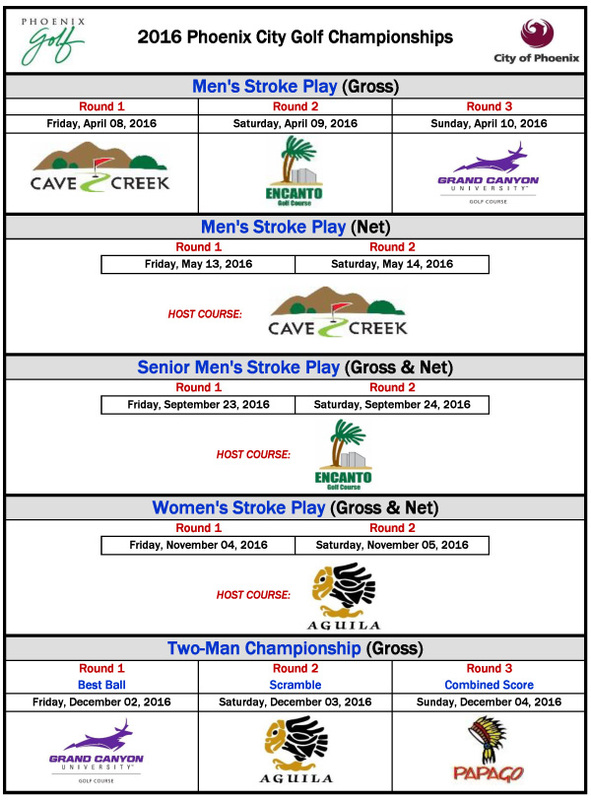 If 54-holes of individual stroke play is not for you, have a look at the other competitive events offered later this year by the City of Phoenix. You’ll find Men’s Net-Stroke Play event, Gross and Net events for Senior Men, Gross and Net Stroke Play for Women, and a Two-Player Team Gross Score event for men.